Wick Ellerbe is a knifemaker who lives in Florida. He isn't taking orders these days after first having too many to deal with and then having a house fire. So the only place to get them is the secondary market. 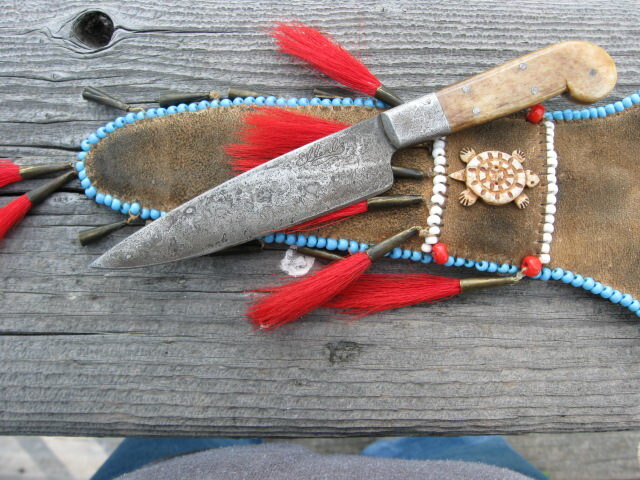 Wick makes knives in a lot of different styles but all representing the Colonial time period in America. Recently a collector put up a lot of edged items on Contemporary Long Rifle association's page. I was able to get one of them. 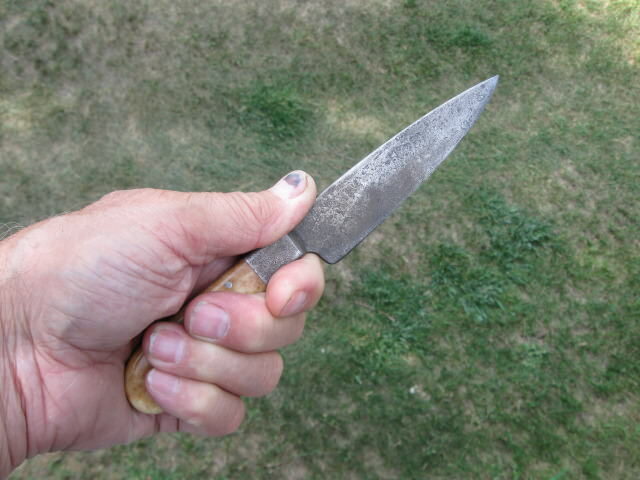 It is a 4 1/2" blade, bone handle and a patina. He used a lot of different steel when making knives such as files and blanks of 01. I don't know what this one was but it is sharp and seems to hold a good edge. 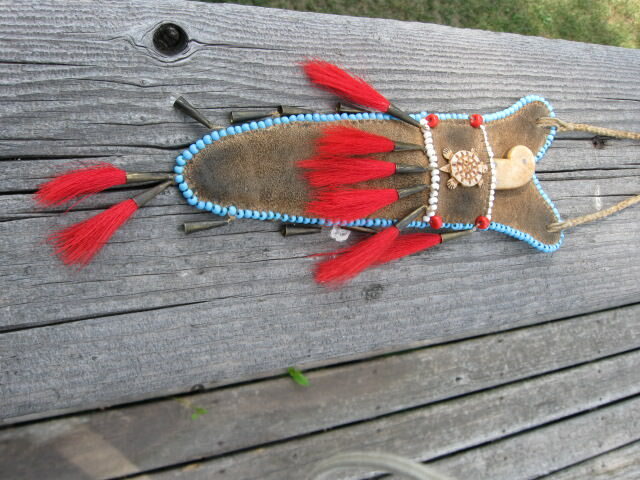 The leather sheath is very well made and with the bead work and small tufts of red hair held by brass cones it is different. Wick made a lot of smaller knives with that basic sheath design. This one has a woven neck lanyard and feels good around ones neck. It will make a good patch knife for my flintlock trade rifle. I'm not sure but I think Hushnel scored a Wick Damascas blade at a rendezvous here in FL years ago. Man, I was standing right there... a neck knife of beauty. Opportunity lost. All I can say is "Nice", you done good. Me too! But I will defer to Wick's judgement that this was a color that was used back in those days.